Charlotte was our first adoption of the evening, going home with her new special friend, Thomas. Last night, hundreds of Melburnians joined us at The Meownificent Garden Party to support a special cause; finding homes for as many cats and kittens as possible. Together, we achieved something incredible. 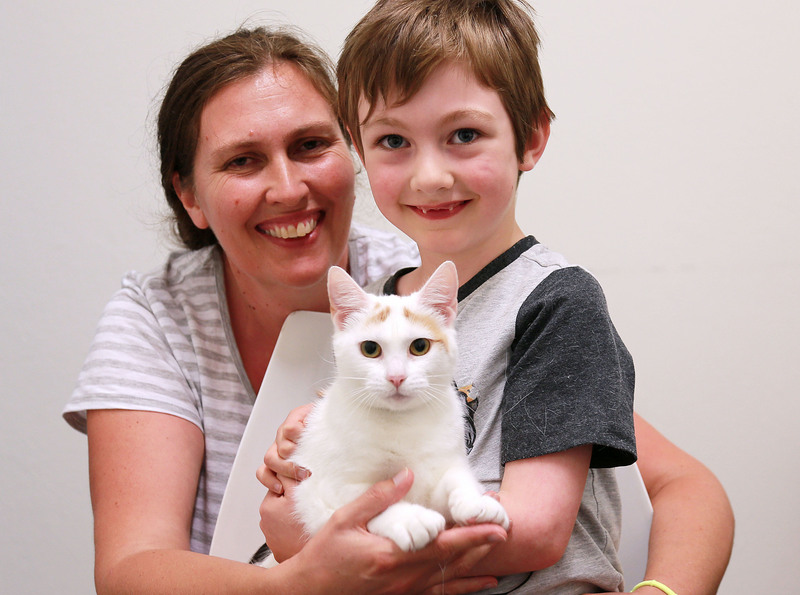 Our adoptions centre was buzzing, with 71 cats and kittens finding homes by the end of the evening. “It’s fantastic that we have managed to find homes for so many deserving cats and kittens,” said Amanda, cattery coordinator at the Home. Our North Melbourne shelter was a hive of activity, with Taco Truck serving delicious treats and refreshments, and the Nova Casanovas entertaining guests with games and prize giveaways. Many families and groups joined the party, and their patience and understanding while waiting to meet the cats was very much appreciated. “There were so many well-meaning people here tonight, it was a great atmosphere,” said Amanda. As always, our cattery and adoptions teams worked hard to ensure all cats and kittens were matched with suitable homes. More cats and kittens become available for adoption almost every day. With a variety of ages and personality types, your perfect match is bound to come along soon. Until 11 February 2018, there’s no fee to adopt an adult cat and it’s half price to adopt a kitten from The Lost Dogs’ Home.